With these textures in the game will be much more green than before. Texture to change the default color of the interface of the game on a green. The game will be armor, weapons and tools of green. 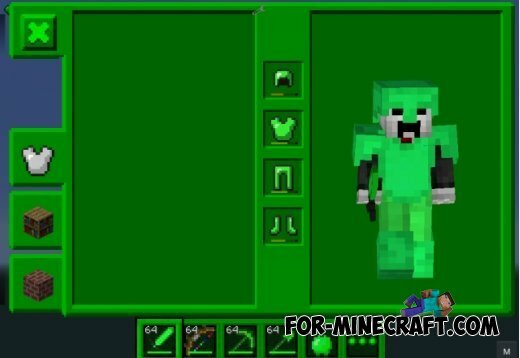 They will be similar to the emerald armor and tools. If you like green, or you just want to change the game a little bit, then you should definitely try these textures. 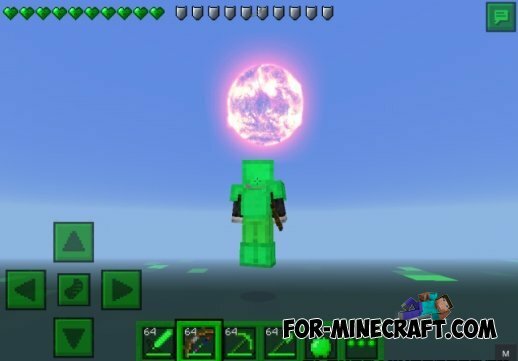 Raincoats mod for Minecraft PE 0.10.0!Now with this mod you will be able to put on cloaks! 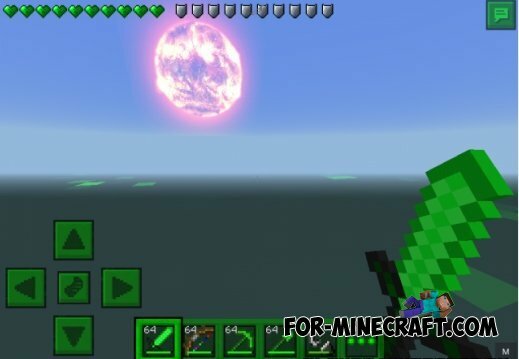 This is by far one version of the mod, and there are 4 colors, but it looks really cool!